A little celebratory piece of news! Thank you, Friends, for your never ending encouragement! My heart is full! The recognitions are yours too… and my sincere gratitude to my God and my little family. 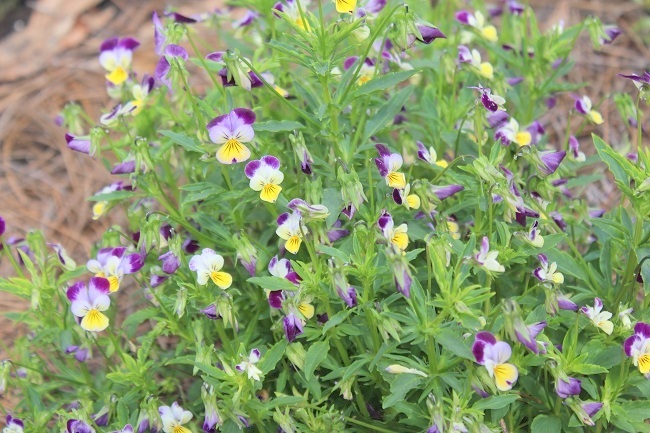 Click here to read about the book if you are new to Ivory Spring. 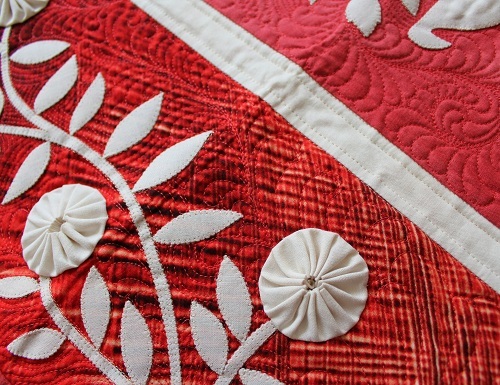 So, what are your thoughts on the place of antique quilts in today’s world of quilting? I am curious. Thank you for stopping by. I shall catch up with you later! 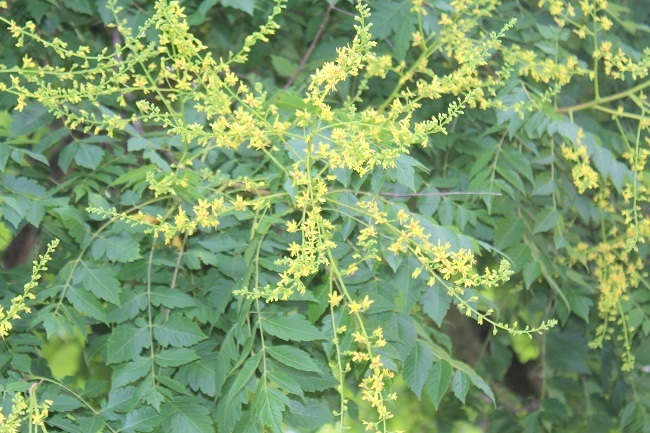 Chills, joint and muscle aches, sneezes…. who needs those during the summer?! I am being a humbug about this summer “bug” that I caught from a certain little person in my family. 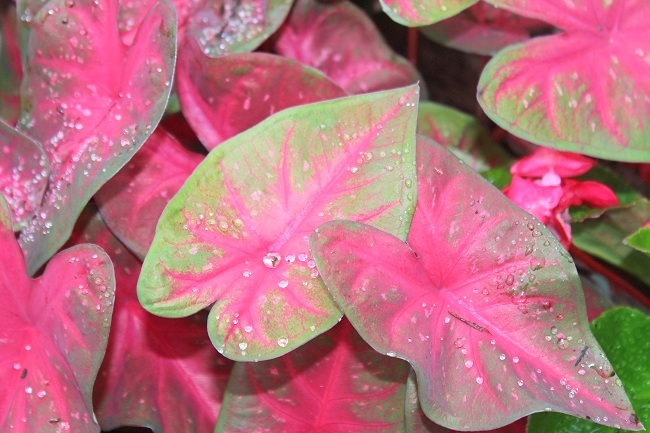 But let’s direct our attention to more cheerful things. 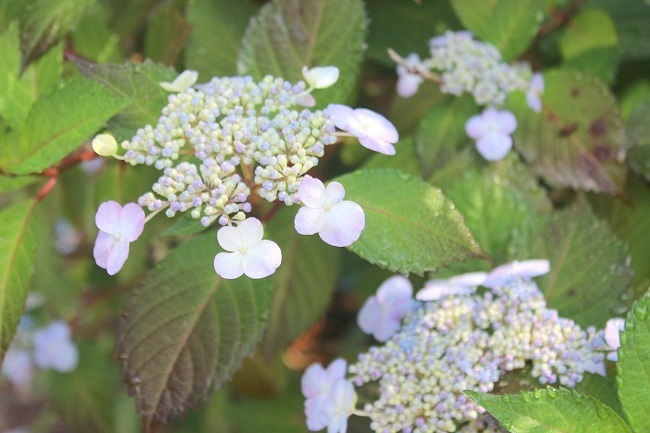 I most certainly cannot take credit for these beautiful blossoms. 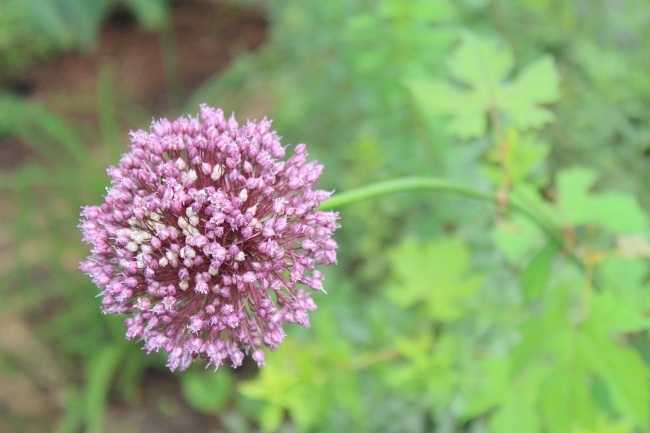 These photos were taken at a professionally tended garden while I was out and about, pre-summer cold. 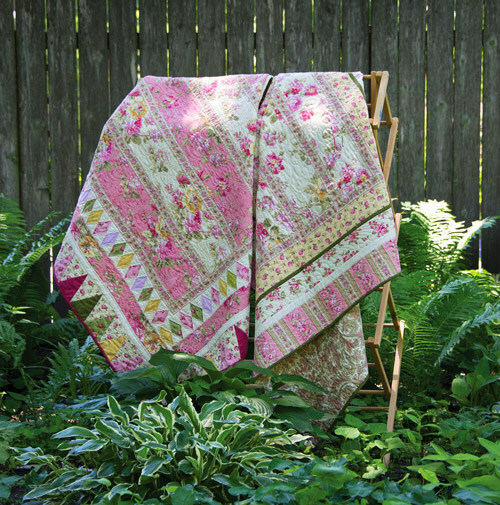 Here are two of my floral quilts from Recreating Antique Quilts: Priscilla’s Garden Party (L) and Lattice Garden (R). 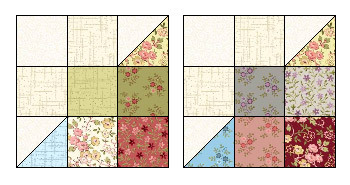 They are what I call “sister” quilts in that one is a simpler version of the other. 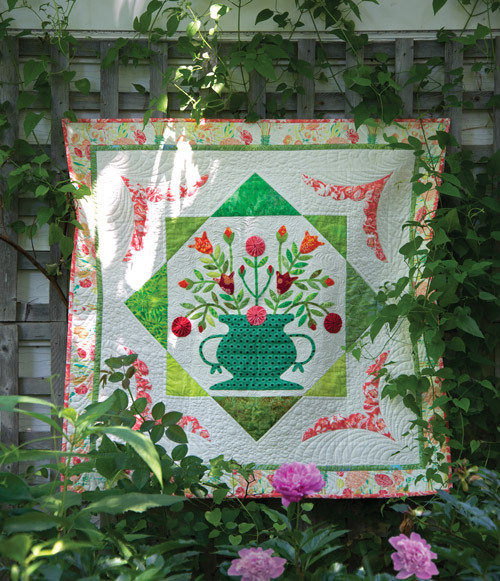 Dear friend Karen actually taught a class using her version of Lattice Garden here. 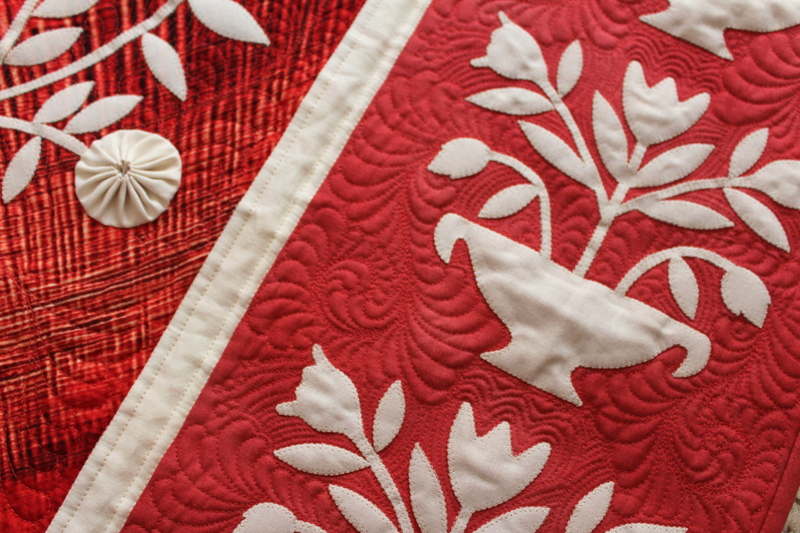 These two quilts are densely quilted with feathers and swirls. 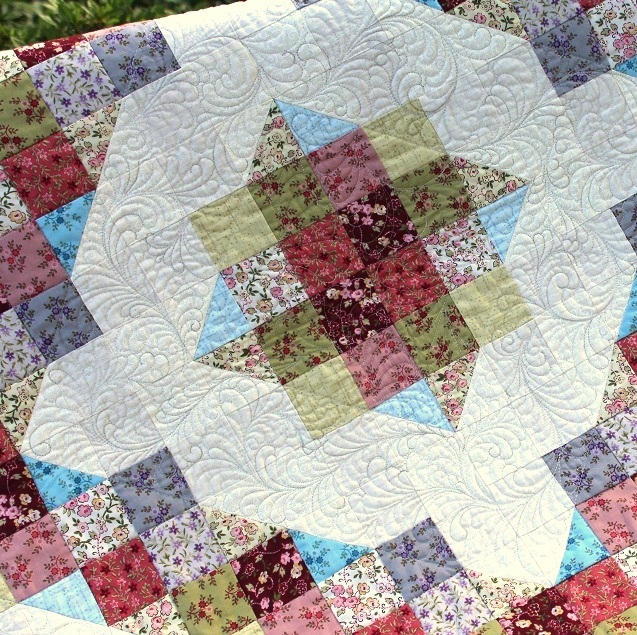 I will have to share about the quilting with you in a separate post. Thank you for stopping by, Dear Friends. 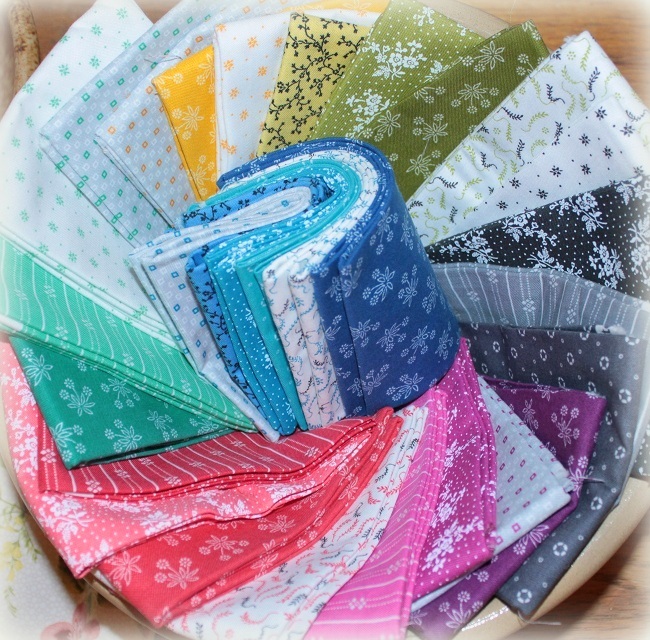 So, curious mind wants to know if you often use floral fabrics or incorporate florals designs in your quilts… do tell! Happy Monday, and have a stupendous week! My book 40% off at Landauer’s Spring Sale!!! Happy Friday, Friends! I am happy you stopped by. I received some totally unexpected news earlier this week from Landauer Publishing. 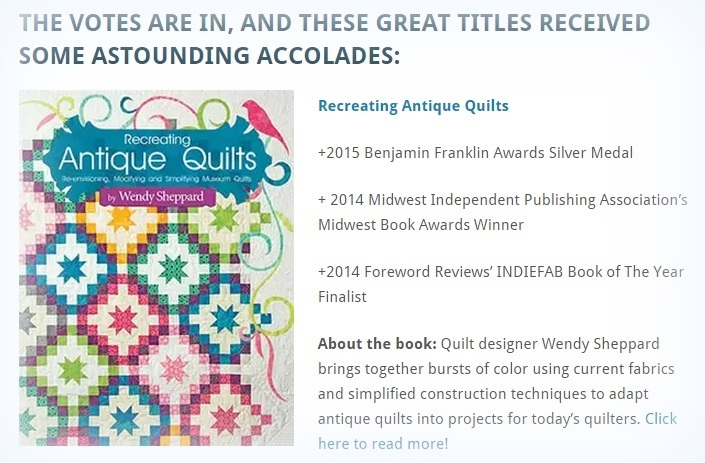 Urm… you see, my book Recreating Antique Quilts made one of the three finalists for the 2015 Independent Book Publishers Association Benjamin Franklin Award, craft & hobby category. The winner will be announced next month. WOW! Little ol’ me?! I am very excited about the news, but I am also feeling a bit self-conscious announcing it to the world. But my sister might whack me in the head if I didn’t mention anything… I have to save the story of being whacked in the head by my sister (a younger sister at that!) for another day. Credit goes to the amazing team at Landauer Publishing, with whom I love to work! And I am grateful to my God and Savior, without whom I am nothing! 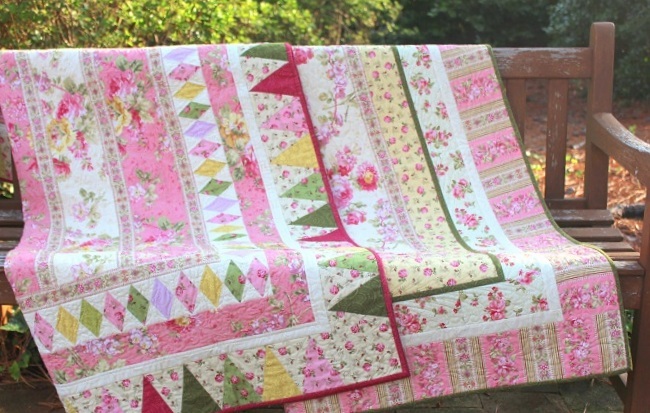 I will have more to share about Recreating Antique Quilts. Meanwhile, you may read about the book here. Also, Landauer is having sale on my book. Click here to purchase the book!!!! Thank you for stopping by! 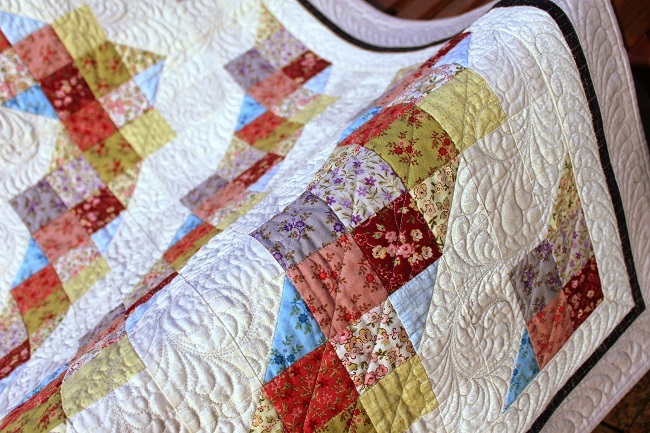 I hope you have a lovely National Quilting Day Weekend! Come back tomorrow for a little giveaway I have for you to commemorate the day. Hugs to you all. Happy Thursday, Friends! I hope you are well. Thank you again for visiting. 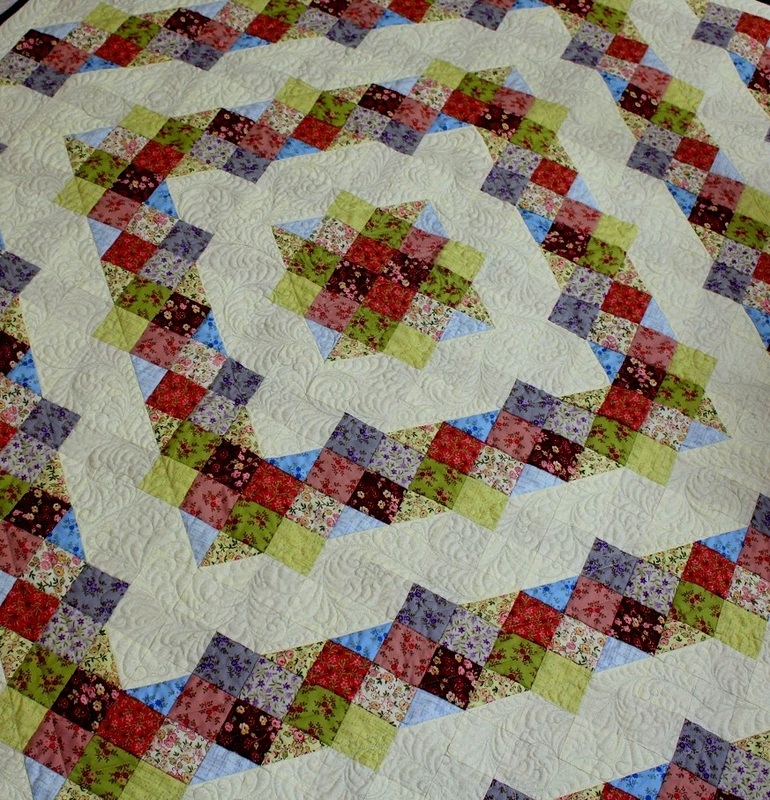 I hope you have had a chance to visit the blogs participating in the second hop for Recreating Antique Quilts. 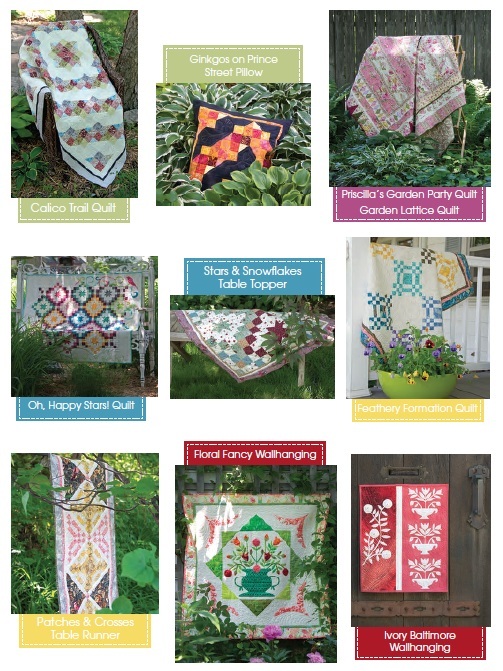 Click here if you would like to see the projects made in the first hop for Recreating Antique Quilts. A huge thank you to a few special friends to participated in the hop. Again, you will see the concept of versatility playing out in that a couple of the projects were made using totally different techniques. Let’s take a look at the projects, shall we? 1. Kay gave my Patches & Crosses runner a very warm and sweet up-do! Click here to see more pictures of Kay’s runner. 2. Doreen gave my Ivory Baltimore a wholecloth makeover! 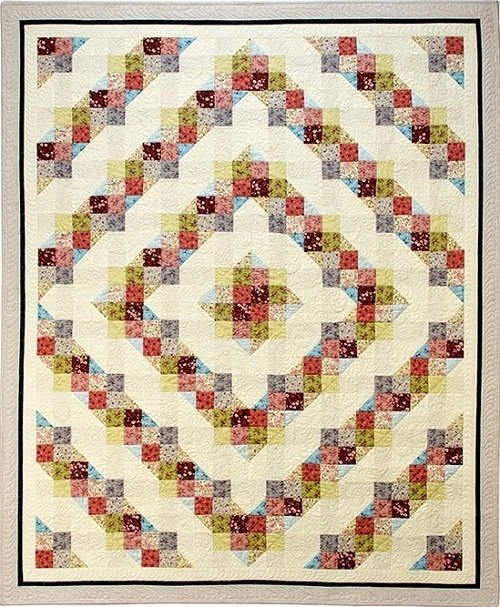 If you are into machine quilting, you will enjoy seeing Doreen’s rendition. 3. 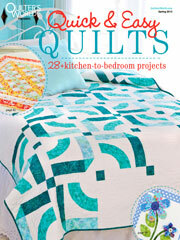 Lisa is a a cool quilter. 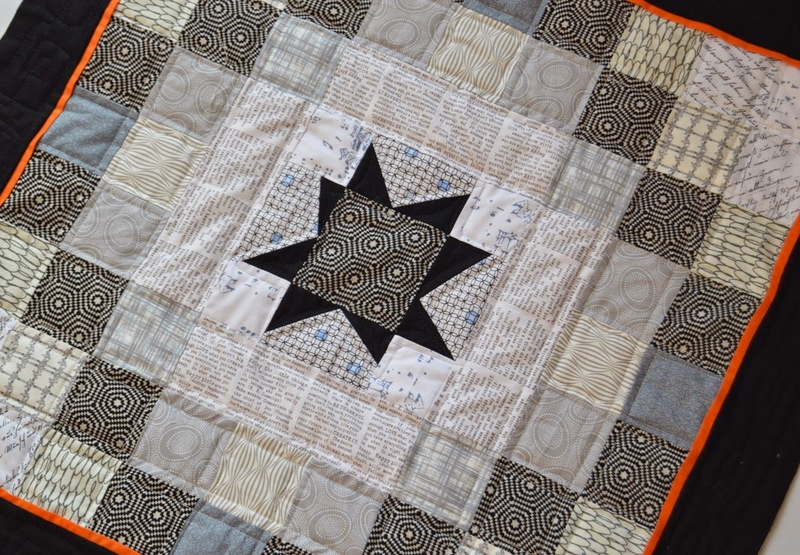 You simply have to see the coolness element she added to her project based on my Stars and Snowflakes table topper project. 4. The very amazing Karen added a wooly touch to my Ivory Baltimore banner. 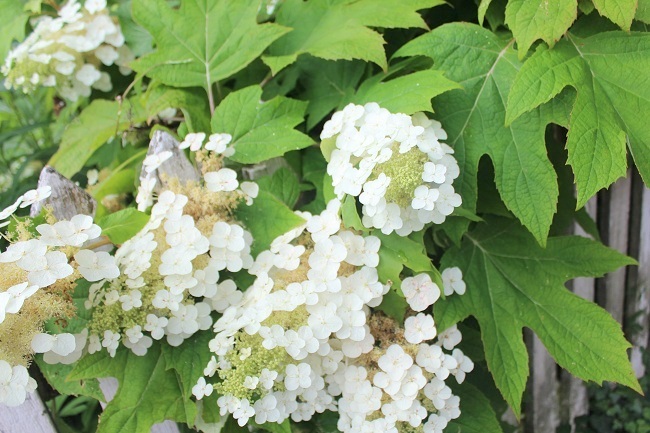 Her wooly flowers look amazing. 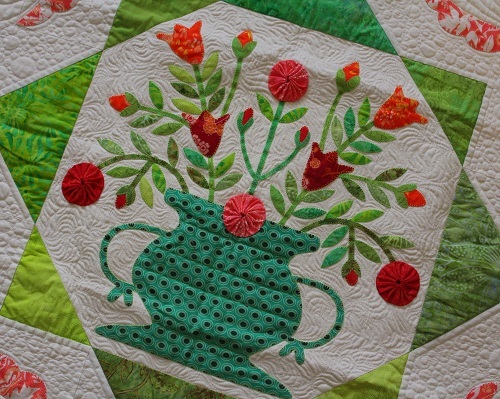 I am heartened, encouraged and inspired to see such talents within my little quilting circle! 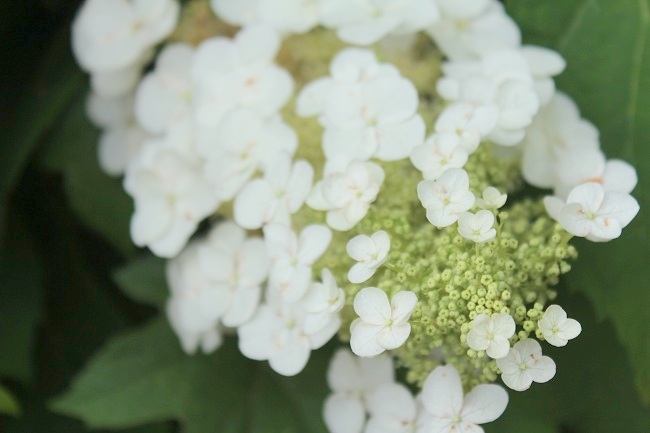 If you haven’t stopped by these ladies’ blogs to take a look at their work, I hope you will do that soon! I think there’s still time to enter your name in giveaways of a copy of my book on the respective blogs. Hello Friends, it is good to have you visit again. 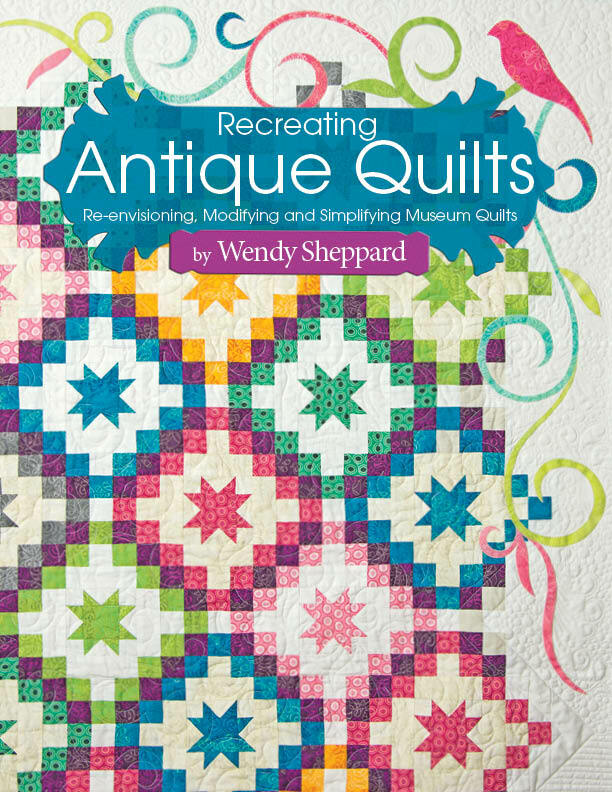 I am MOST excited to announce a BLOG HOP going on today for my book Recreating Antique Quilts. 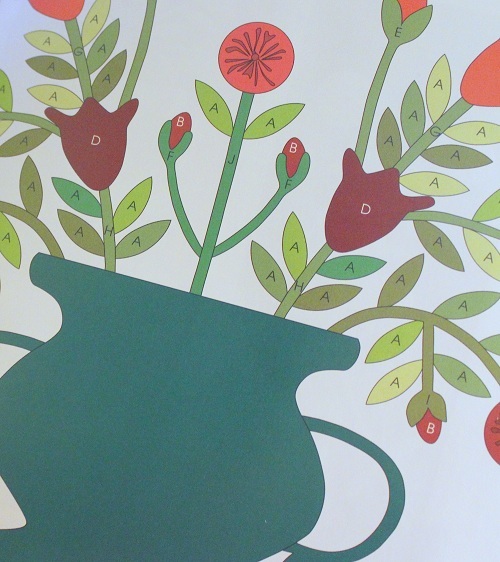 You may recall we have had a blog hop for the book a while back here. 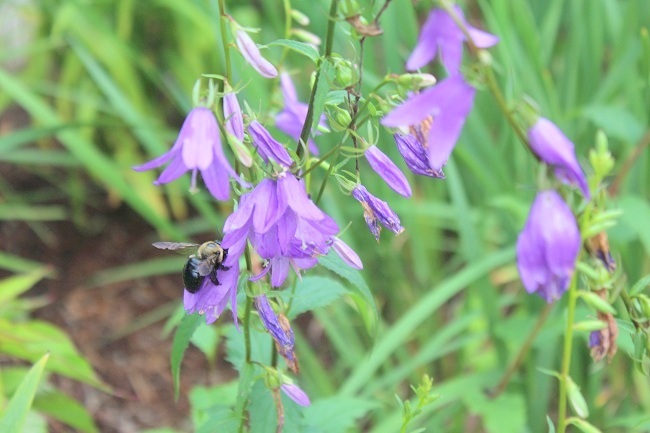 It’s time for Blog Hop Round #2. 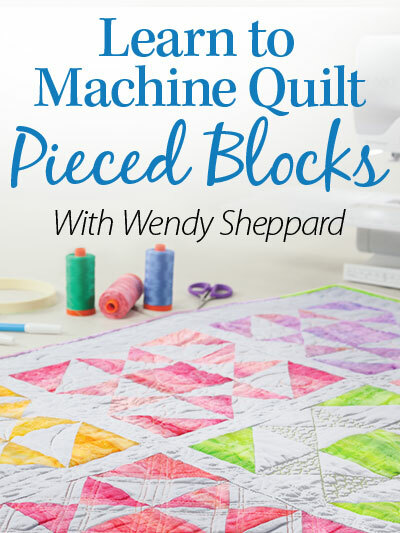 Today, four special friends are giving you their review and a giveaway of the book, as well as showing you how they have used one of the patterns in the book. I am not going to spoil it for you by giving away any sneak peeks. You just have to visit their blogs to find out. 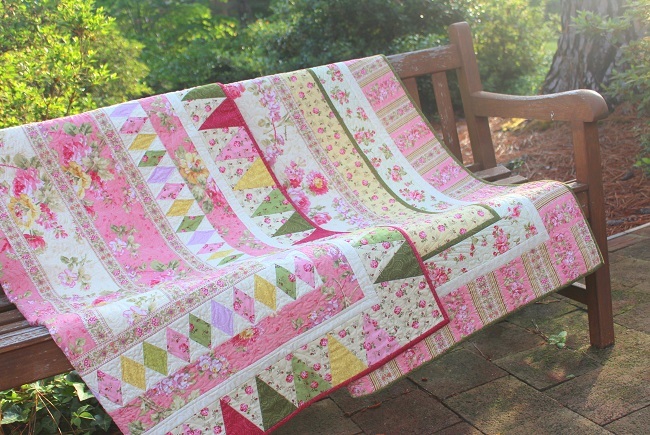 The participants are selected to be part of the hop because I feel each of them brings something different to the table, and I want to highlight their work through the projects of Recreating Antique Quilts. 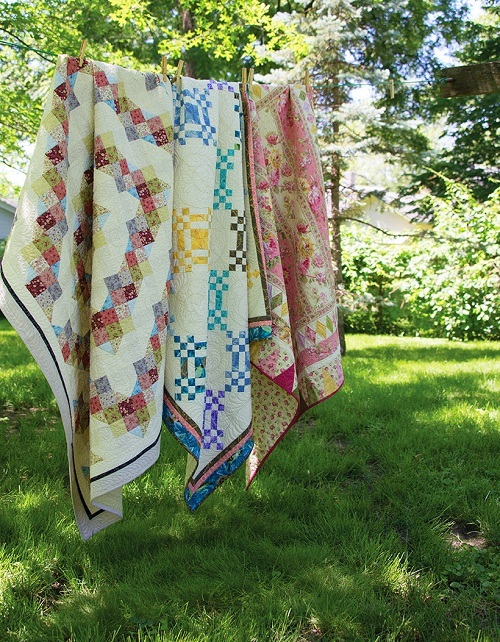 Lisa’s style is quite different from mine, but one thing I love about her quilts is that her work is vibrantly full of life and colors. Lisa and I share similar life experiences because a huge part of our lives is dealing with kiddos. So, she and I often work late into the night! She has a cool rendition for one of my book projects. I have seen the preview – you have to trust me on this one!! Kay is one of the sweetest ladies I have ever met! Funny thing is we knew each other from when I lived in Arkansas. But we never had the time to really connect with each other until Spring Market at Pittsburgh last year! 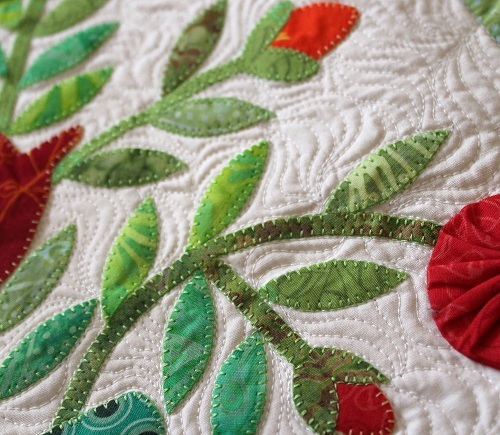 Kay is an absolutely prolific applique-r! I want to be like her when I grow up. 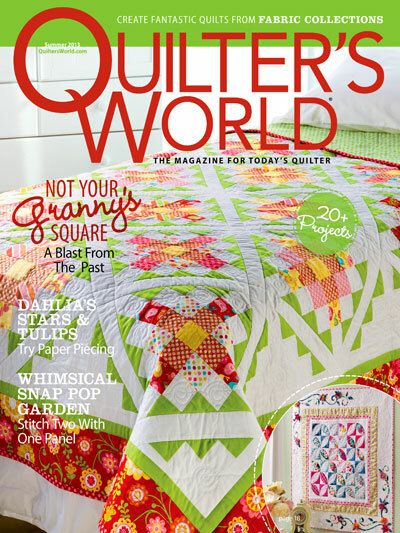 Kay’s has had her work published in Quilt Mania as well as Primitive Quilts – very impressive! 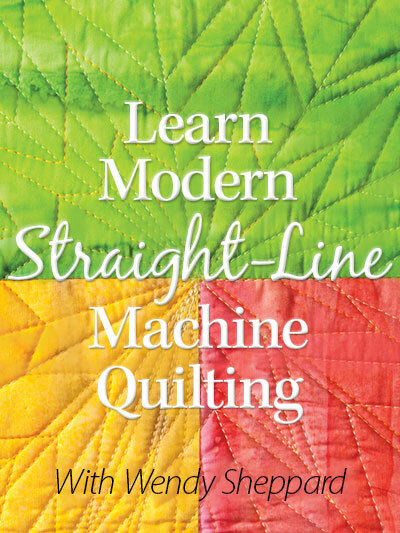 Doreen loves machine quilting as much as I do, maybe even more! She is well loved by many in the blogging community. Doreen brings with her an extensive sewing background. 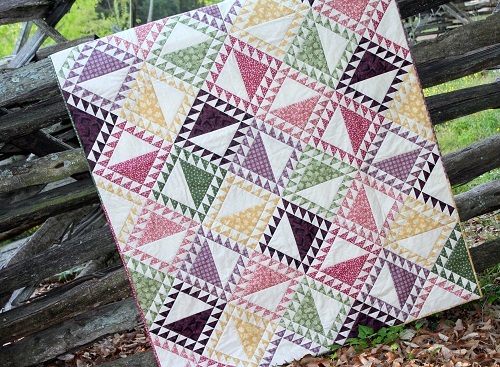 It’s a joy to have Doreen participate in this second round of Recreating Antique Quilts Blog Hop. 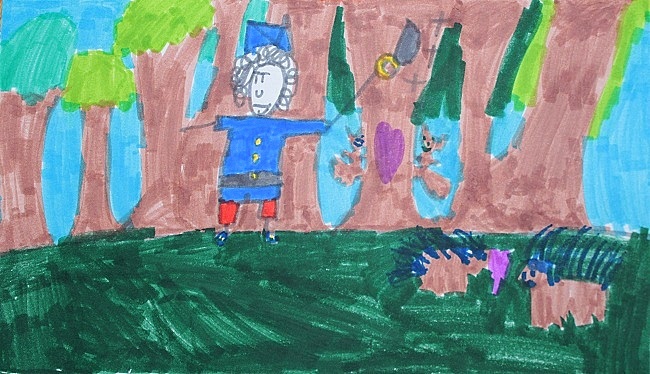 I have also seen a preview of Doreen’s project. All I can say is… beautiful. 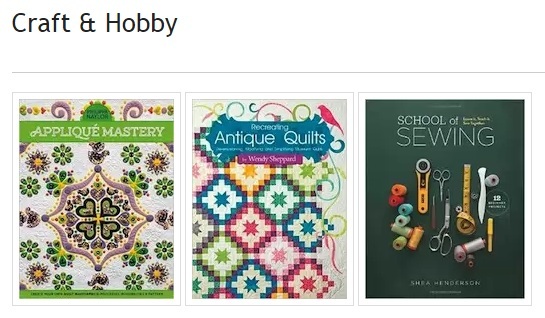 Karen is not a stranger in the online quilting community either. 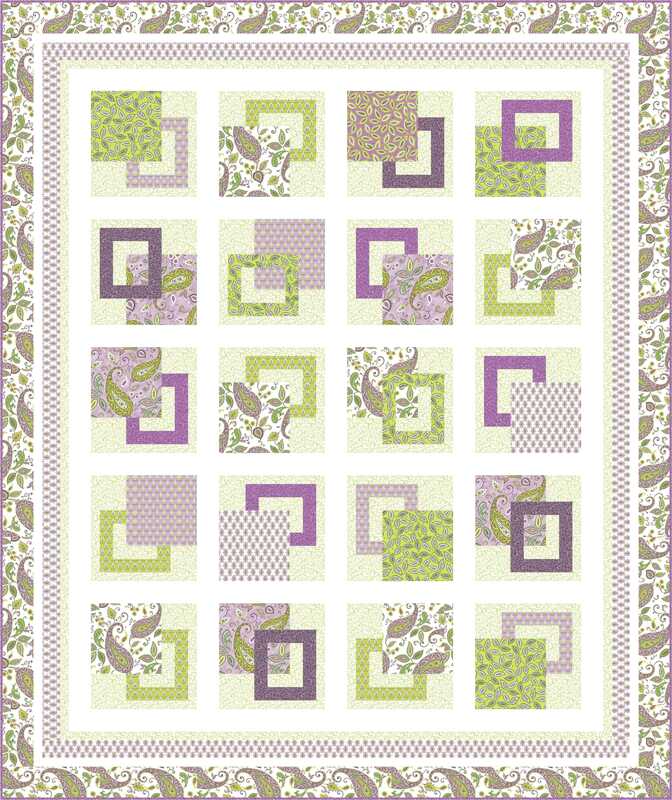 She designs projects for Moda using their precuts. Karen participated in the first hop, and asked to be included for a second time because she has innovative ideas on how to interpret one of my projects! 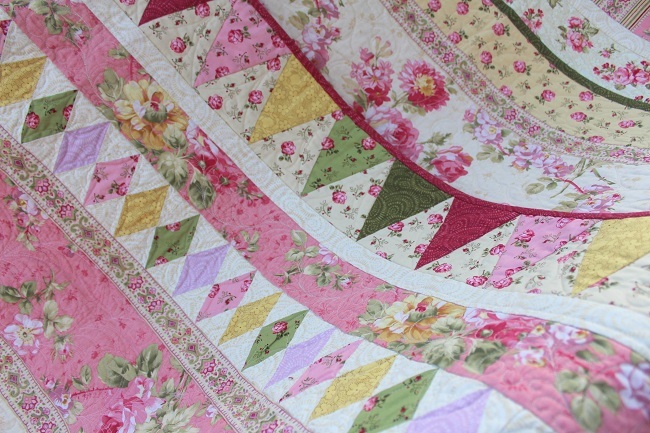 If you haven’t seen Karen’s work, you simply have to because her designs are just darling! Well, I just have to let you go, and visit these lovely ladies! I hope you will have a fun hop, and more importantly, you will make firm friends with these ladies! Have a great day! Hello Friends, I hope you are well! I have been working hard to resist the temptation to just dig a hole in the ground and hibernate until the weather gets a little warmer. It’s been bitterly cold where I am. I think I am just a wimp when it comes to weather. 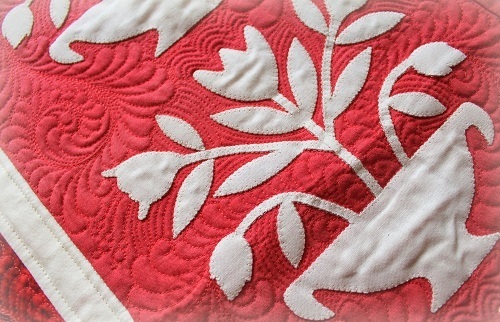 One of my Recreating Antique Quilts projects that has been warmly received is Ivory Baltimore. 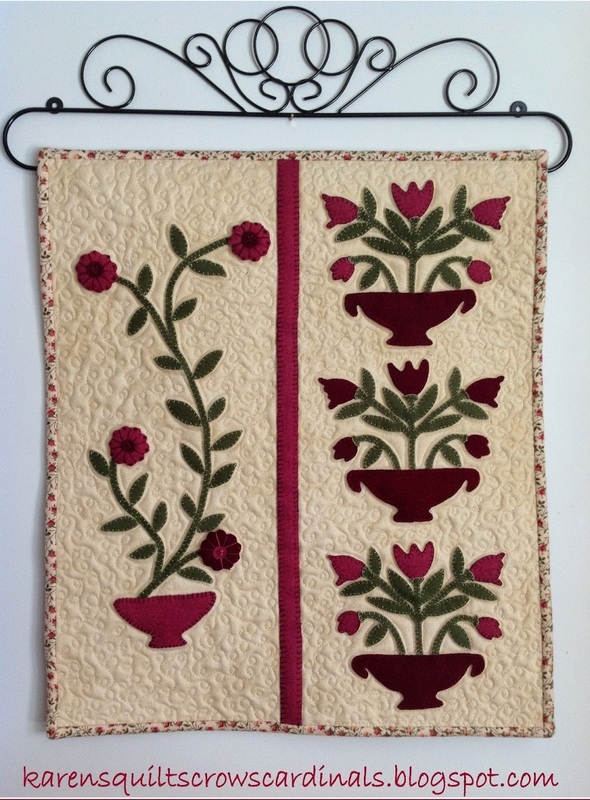 My quilty inspirations of this little 17″ x 21″ banner consist traditional French red/white monochromatic needlework sampler and the Quaker medallion sampler. You would often see stitchery of red on cream or white in French monochromatic samplers, such as the one I had stitched years ago. 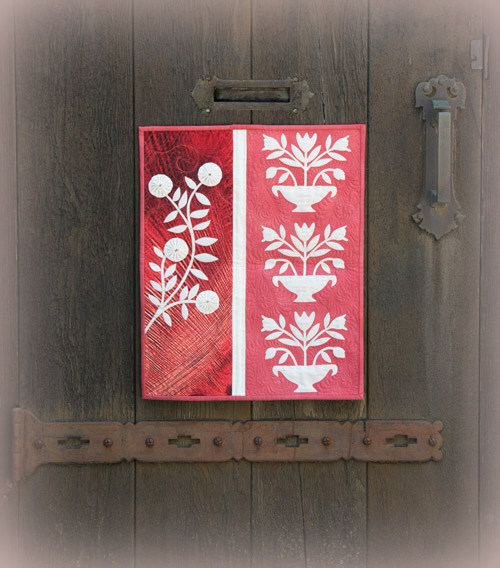 So in the case of Ivory Baltimore, I reversed the colors, and have my cream applique shapes stitched onto a red and coral background. 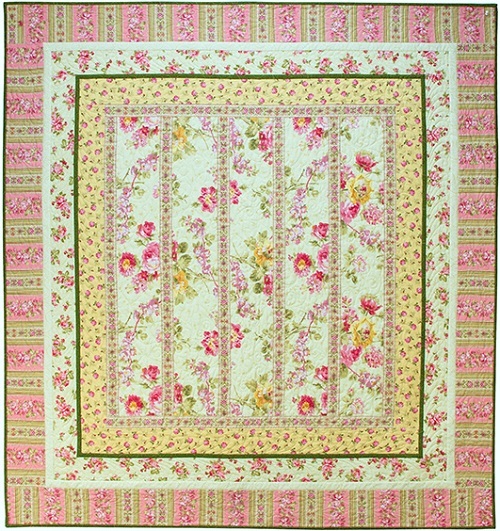 The applique is adapted from a DAR Baltimore Album quilt. 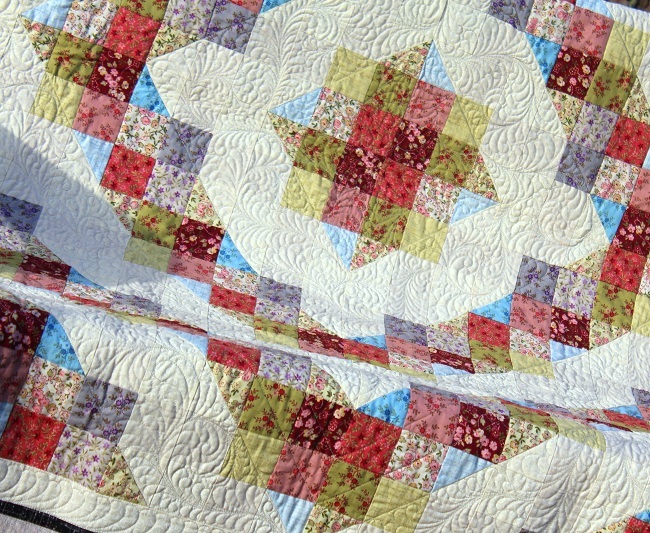 A picture of the original quilt is included in the book. Thus the “half” Baltimore album block in Ivory Baltimore. 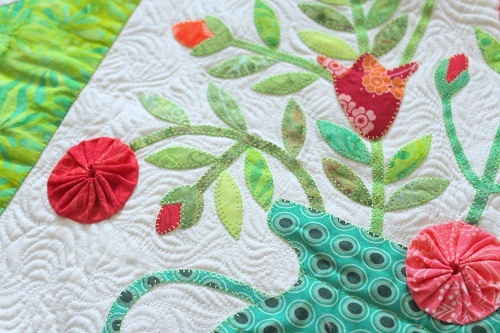 I used Aurifil Mako 50 cotton thread for everything – piecing, buttonhole stitching around the applique shapes, and quilting (of course!). 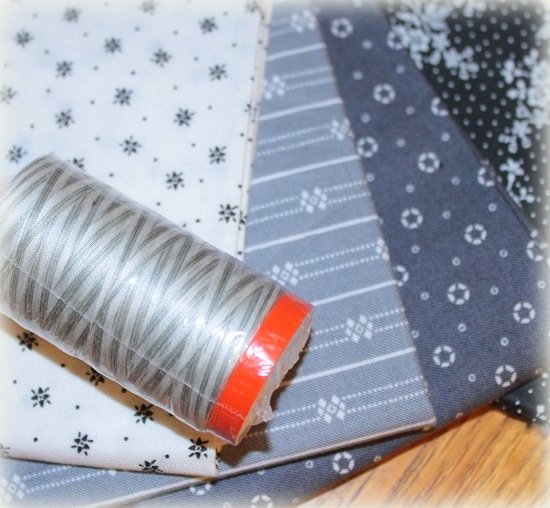 I cannot stress enough how much I love using Aurifil threads – my machine loves it, I love it, and my finished projects love it! The batting I used is Hobbs Tuscany Wool batting because I really wanted my feathers to show around the applique shapes. Of course, I quilt 99.99% of my quilts with batting made by Hobbs because much is considered before they bring something to the market. Of course, I will be working with some ladies in making Ivory Baltimore in Rogers, Arkansas. Click here for contact information to see if spots are still available for the class. One thing I can tell you is that Dan and Rhonda and I are working hard to get things all ready for a really fun time in April with the participants! Click here if you haven’t read about how Dan bailed me out from trouble two weeks ago. Anyway, since my public appearances are very limited due to my family obligations, I do hope to see some of you at the event! Ivory Baltimore is a versatile project. 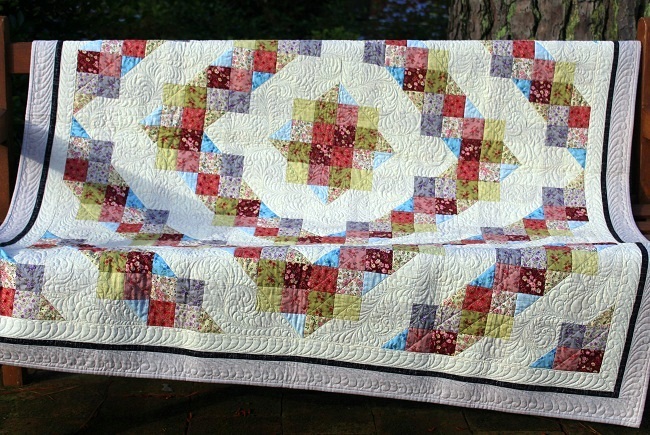 I would love to see you recreate antique quilts your way! 1. You can easily just take the urn block and repeat it for 9 blocks for a nice sized wall hanging. How about alternative the color scheme for the blocks – cream applique on red background fabric, and red applique on cream background fabric. 2. You can just as easily mirror image the half block to make it a whole block and use just that for another banner. 3. How about using other colors… cream on gray background, orange on a black background, cream on mocha background! 4. 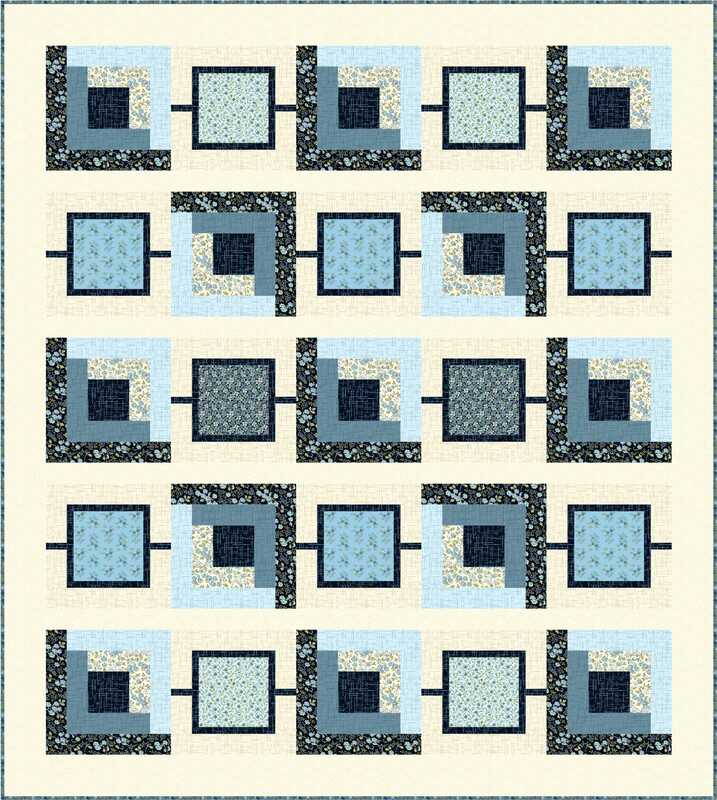 How about repeat the urn block three or four times horizontally for a table runner project? 5. Now, the templates in the book are printed at 100% to reflect the final size of the book project. 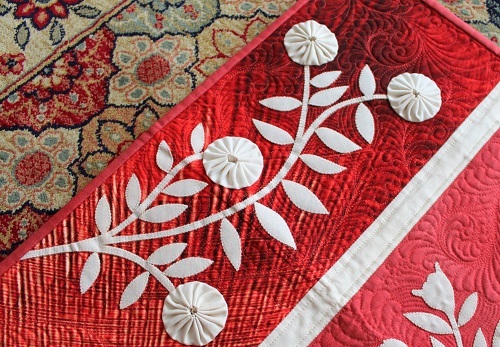 But you can easily enlarge the urn block and use that to make pillow shams to dress up your bed! Thank you for stopping by! Tell me what your thoughts are regarding Ivory Baltimore. Meanwhile, you can read all about the book here. It’s time for me to crawl back in bed go back to work. Tootles for now. 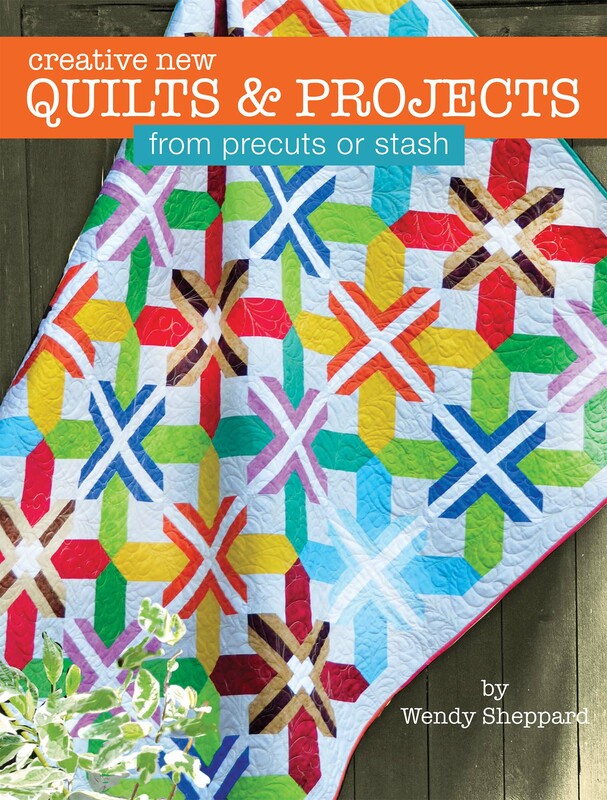 In many ways, my book Recreating Antique Quilts reflects my quilting journey. 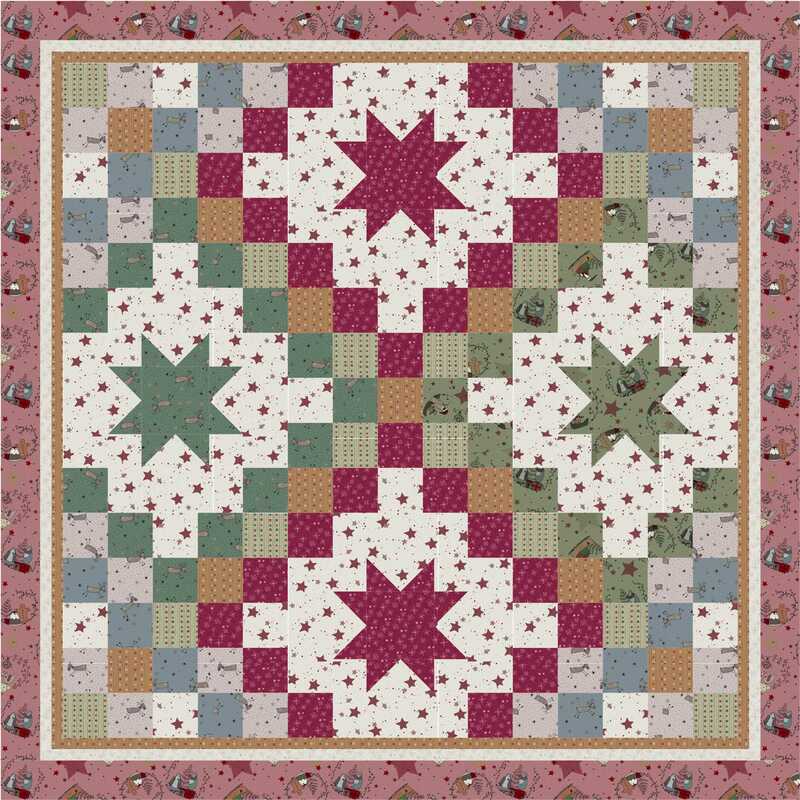 I have tried to incorporate some guiding principles that I have clung onto in my years of learning and enjoying quilting, with the hope that my quilting friends will also benefit from those guiding principles as I have. 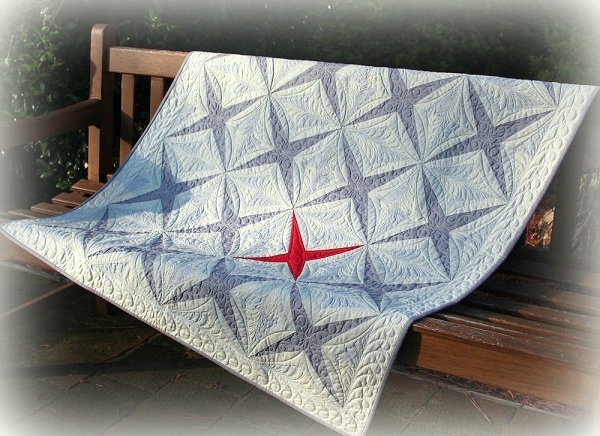 I had shared with you the premise of “That” first quilt that shaped my book. You can read more about it here. 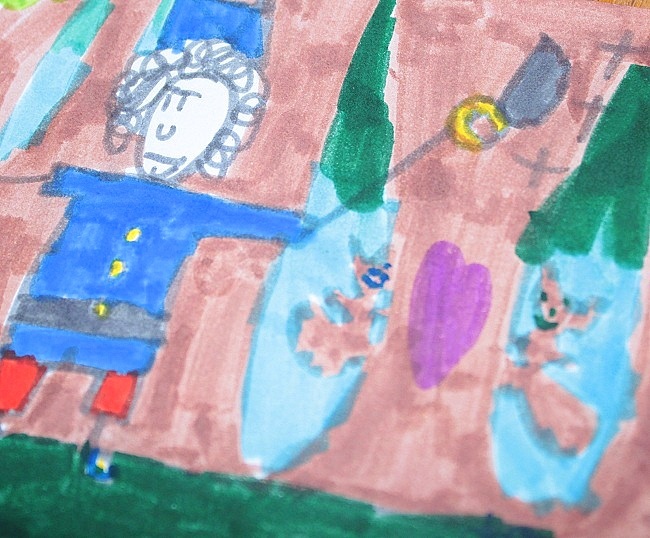 Today, I am sharing with you premise #2 that shaped the book: Always Learning! 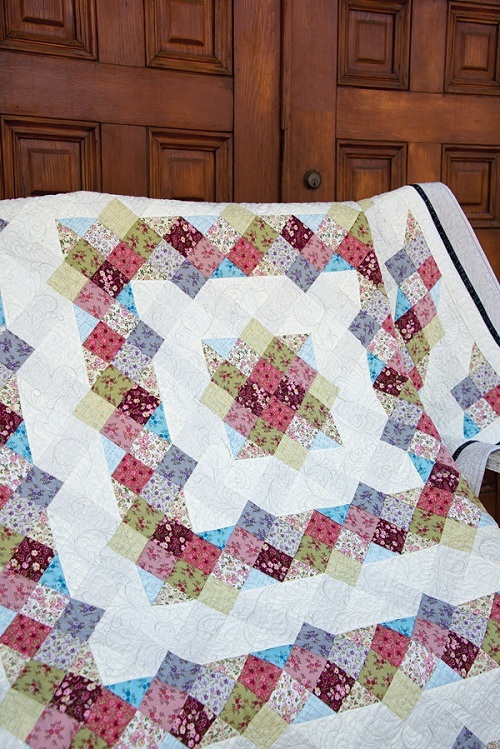 I purposed from the very beginning when I made my first quilts, I would always try to learn something new in my quilts. 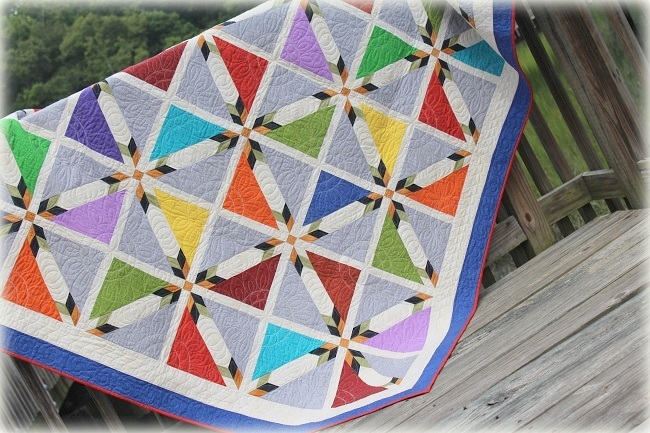 And I can say I have greatly benefited from the habit of always learning something new when I quilt. 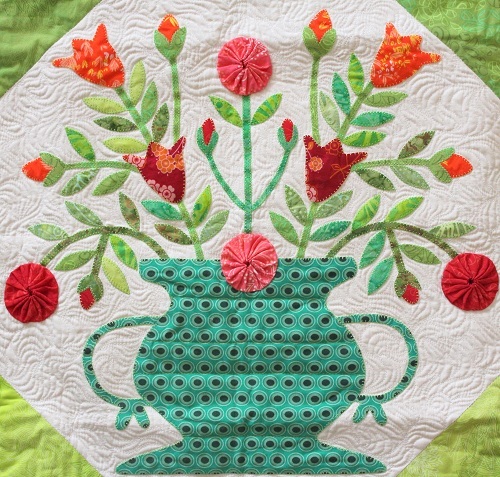 With that in mind, I designed one of the applique projects in the book Floral Fancy for quilters who have yet to try out applique. 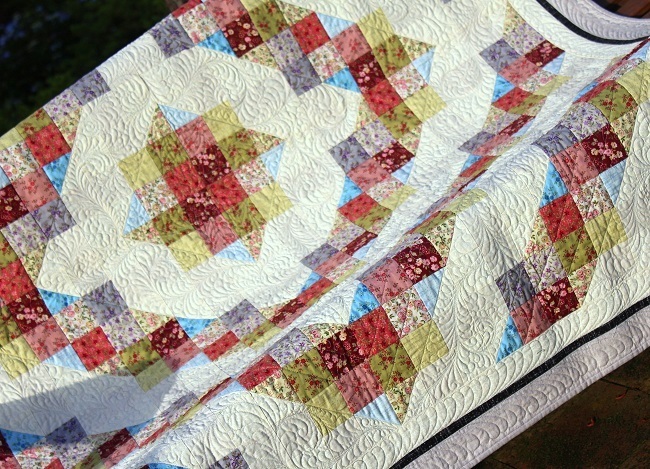 From time to time, I hear from quilters they are afraid to do applique projects. 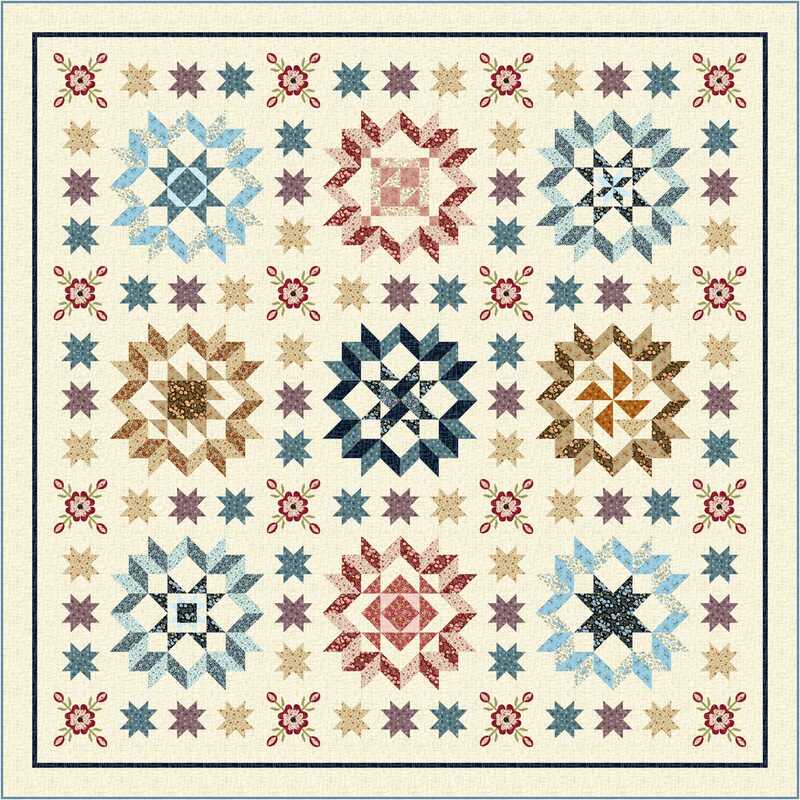 Instead of reproducing the entire DAR applique album quilt (picture of original quilt in the book), I selected just one block to make into the focus of Floral Fancy. 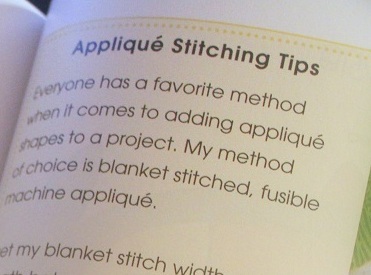 You can refer to my machine applique tips on page 83 in the book to stitch the pieces in place. Tips on various techniques are sprinkled throughout the book to help jumpstart the learning of new techniques. The color coded applique templates (always at 100%) and placement diagrams are probably my absolute favorite aspect of the book! To say that I am pleased with how they turn out in the book is an understatement. Kudos to Landauer’s capable team! 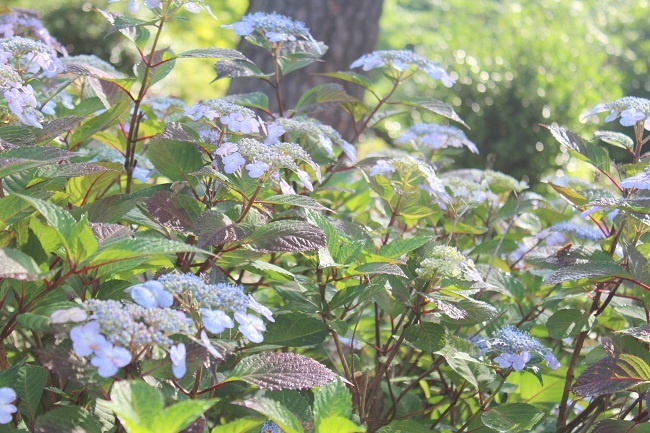 Here are a few more pictures of Floral Fancy. 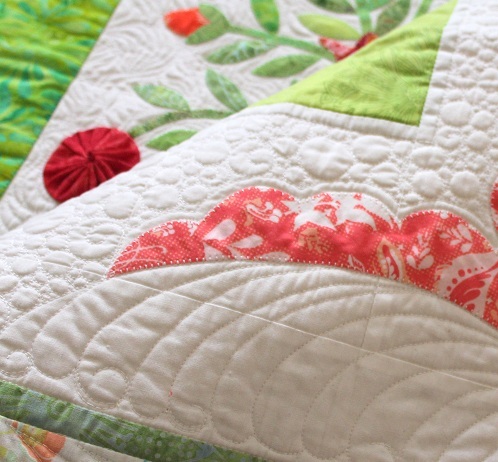 Of course Floral Fancy isn’t just for beginning appliquers. 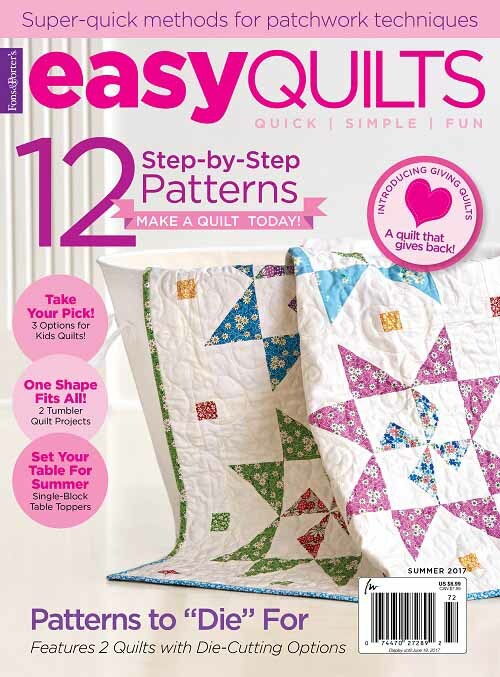 I can see the quilt center being used as the starting point of a fancy medallion quilt for the advanced quilters who also custom design their own quilts. 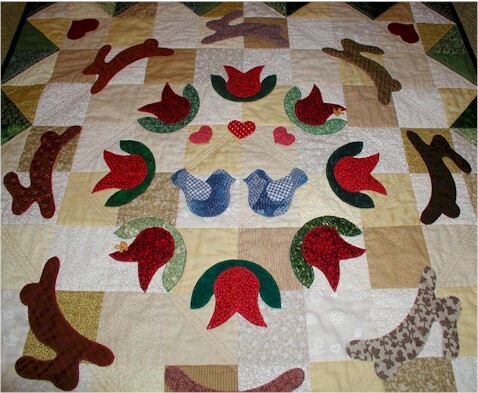 How about using the applique block as a start for a Round Robin quilt in your quilting group? 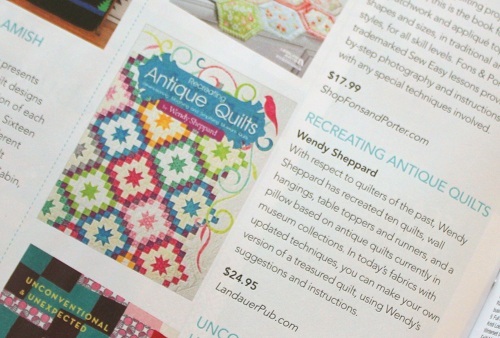 There are a few other projects in the book that are conducive for “trying out something new”. 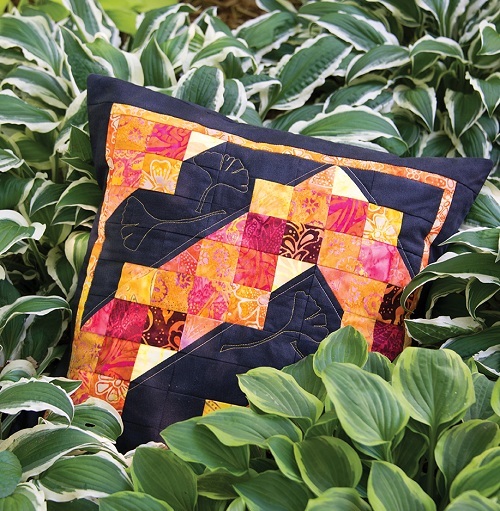 For example: Gingkos on Prince Street pillow uses my “mark without marking” freezer paper quilting method; Priscilla’s Garden Party uses template piecing method; Feathery Formation deals with piecing with small pieces and quilting asymmetrical feather wreaths; Patches & Crosses teaches on-point setting, and more! 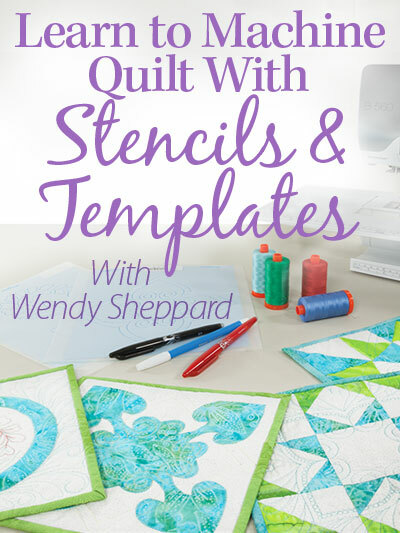 Speaking of learning opportunities, I will be teaching my painless, seamless, almost effortless fusible machine applique method at Rogers Sewing Center in April 2015! 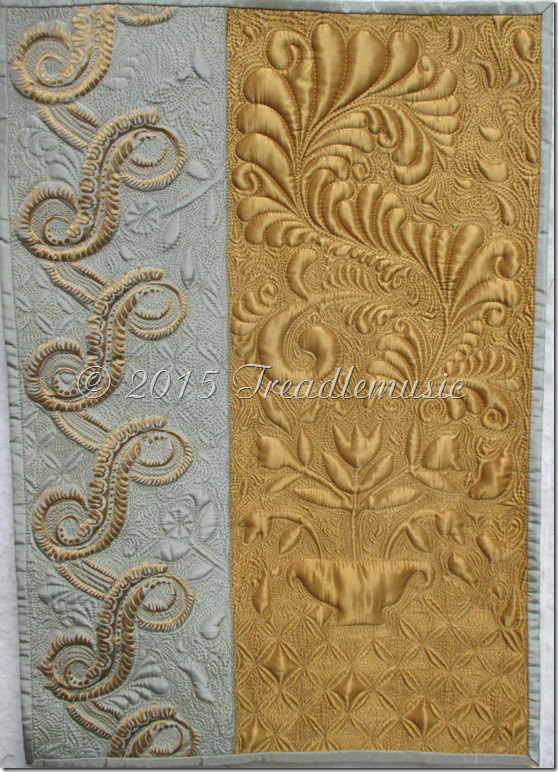 We will be making Ivory Baltimore wallhanging from the book. 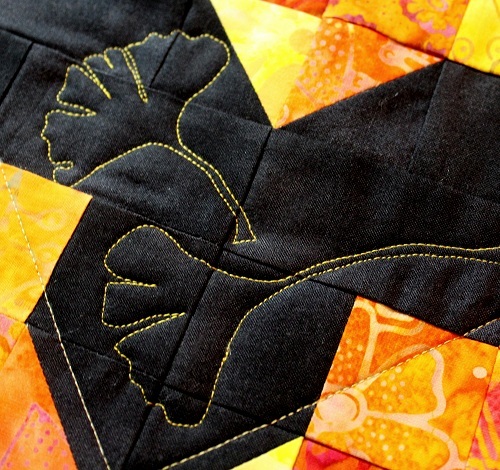 I will also be having two separate classes to make Ginkgos on Prince Street pillow, as well as a lecture/show and tell. Click here for more details. 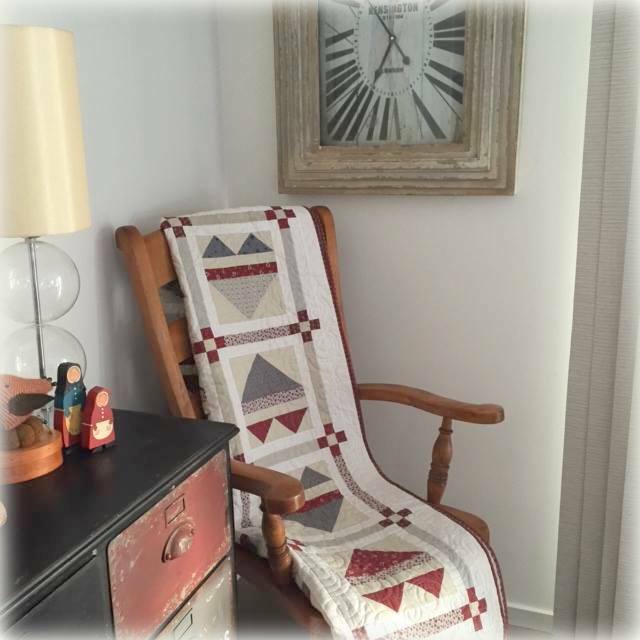 I love to interact with quilters in a class setting, but because of I am a Mom and wife first, at this time of my life, I teach very minimally. But even when I teach, I always end up learning something from the attendees. 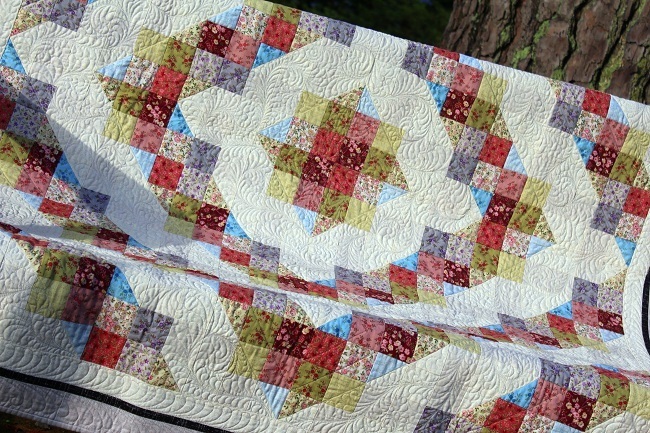 Isn’t that just so with the quilting community – always giving, always learning, always teaching? If you are in the Northwest Arkansas area and plan on coming, would you drop me a line? That way I can be sure to be on a lookout for you and give you a REAL hug, instead of just a bloggy virtual one. Thanks for stopping by, Dear Friends! I shall catch up with you later.